Starring: Michael Nyqvist, Sharlto Copley, Christian Camargo, Anamaria Marinca, Embeth Davidtz, Daniel Wu, Karolina Wydra, Dan Fogler, Isiah Whitlock Jr, Neil deGrasse Tyson. Being released in the same year as the big-budgeted and visually stunning “Gravity” would normally hinder the successful chances of any other film in the science-fiction genre. However, Sebastien Cordoro’s “Europa Report” actually manages to find it’s own niche and invigoration by relying purely on a strong premise and confidence in it’s delivery. It will, most certainly, not pull in the revenue or audience of “Gravity” but it’s proof, yet again, that coughing up the green isn’t always necessary when venturing into the cosmos. Aboard Europa One, a crew of six astronauts embark on a privately funded mission to search for life on Jupiter’s fourth largest moon. 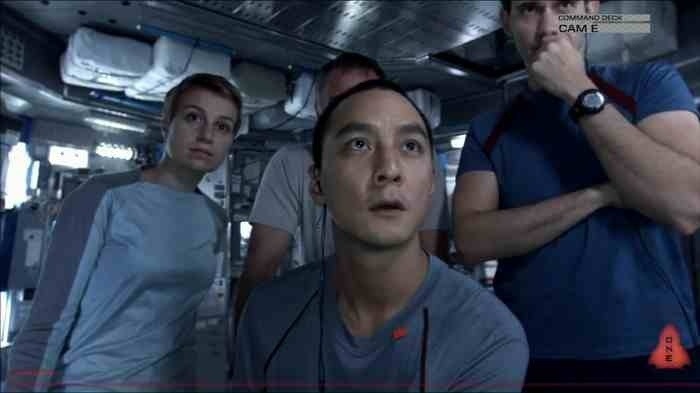 After six months, all communication with mission control is lost but the crew carry on regardless and discover an unexplained bioluminescence underneath the moon’s surface. When mission control finally regain contact with the ship, they discover what actually happened to the crew and what the mysterious lighted object was. The first thing that strikes you about this film is it’s excellent use of atmosphere and it’s foreboding music that captures a suitably sinister tone from the off-set. Even though it’s running on a cheaper budget than the aforementioned Alfonso Cauron blockbuster, it still manages a strikingly crisp appearance. The most impressive aspect to it, though, is it’s simple yet perfectly feasible concept. Europa actually does have an ice surface and scientists hypothesise that there is a water ocean beneath it, meaning extraterrestrial life is entirely possible and it’s through this, that screenwriter Philip Gelatt succeeds in relating his story. In bringing Gelatt’s story to the screen Cordoro’s decision to use the found footage approach not only suits his budgetary constraints but also the the material itself. It plays out like a Nasa documented mission, interspersed with interviews of the crew and in doing so, achieves the desired sense of realism. Having a multinational (and relatively unknown) cast also adds this, much in the same way that Danny Boyle’s “Sunshine” benefited from not knowing which crew member will perish at any given time. The found footage approach is so understated that it’s easy to forget that the film falls into that sub-genre. It’s intimacy also contributes to clever use of tension that builds slowly and effectively and any reliance on CGI is kept to a minimum. Despite some ponderous moments that make the film feel longer than it actually is, the only real issue I had was the payoff: like so many films of this type – particularly in the horror genre – it’s when the big reveal is delivered that it falters and detracts from the tension and the unknown, which made the film so strong in the first place. Other than that, this is a highly impressive endeavour and, for the most part, a solid indie science fiction thriller. It won’t have you in awe like “Gravity” but it will have you pondering the credible possibilities in our solar system. Trivia: In order to achieve an accurate depiction of the moon Europa, the filmmakers based it’s aspect on data from NASA and JPL’s maps of the moon’s surface. This entry was posted on December 5, 2013 at 2:55 pm and is filed under Science Fiction with tags 2013. You can follow any responses to this entry through the RSS 2.0 feed. You can leave a response, or trackback from your own site. Excellent work, Muckers. I agree with you 100%. This movie was very good until the big reveal. They should have just kept that part out. Someone and I speculated that it would have been a better ending if the last footage was the ship sinking into the ocean. But it’s not so that’s no spoiler for your comment readers. Gracias amigo! Yeah, for the most part this was a solid little flick. You wouldn’t think for a second that it was done on a cheaper budget. Totally agreed on the ending, it revealed its hand when it didn’t really have to. It worked much better when it played on your imagination. Agreed. Well said. As with the whole review. Cheers James. Thanks for dropping by, man. LOL – that would be perfect!!! Have this in my Netflix queue. Will have to check it out asap! Decent little flick Dave. I mention Sunshine and there are some slight comparisons. It’s not as good as that but still a worthy effort. Nice write up here Mark. This is on Netflix so I’ll be giving a shot. 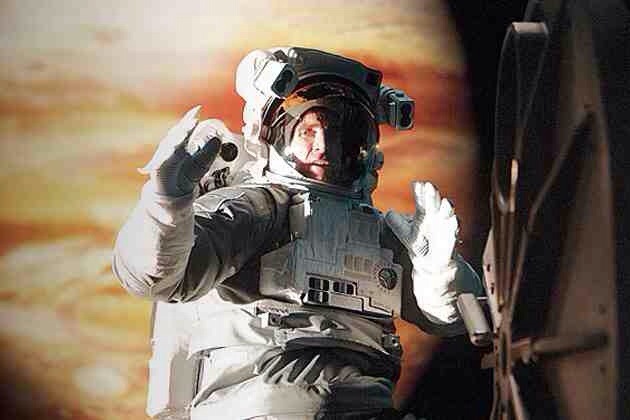 I agree that releasing this film on the same year as Gravity was a bold and risky move. I like the new format btw, the quote, rating system and trivia. Cheers Chris! Yeah, not as awe inspiring as Gravity but the story is actually much stronger. Yeah, been doing a little tweaking on the blog. Trying to make it a little more appealing the eye, you know? It’s definitely worth a look Ruth. For the most part, I was quite impressed. It does have its shortcomings but it’s still good. Well I LOVE Sharlto Copley so he’s the main draw, plus I like a good sci-fi. Oh your blog is already classy mate, but it’s great to introduce something new once in a while. Compliments again? 😉 Cheers Ruth. You’ll be welcomed ANYTIME you stop by my friend! This isn’t a movie that redefined any genres or had any particularly great characters or anything, but it was strangely watchable, especially if you have an interest in missions to Europa — and who doesn’t? Something of a time-killer, but a good one, and the found-footage gimmick is done here as well as it can be, barring a breakthrough. I’m typically not a fan of found-footage films in general, and I think this one could have been improved by NOT being one, but they didn’t ask me (their usual mistake). Anyway, it was kind of neat, although Sharlto Copley was completely wasted. Anyone that’s seen him ham it up in Elysium or touch our hearts in District 9 knows what an asset he can be, but alas, the script does not allow for him to do much. In fact, none of the characters are given room to develop much, which is a shame, because the actors are doing some fine work. As is the director and film crew; the movie works as a found-footage film in the sense that it’s easy to believe the characters are really deep in space, far from help and stuck on an alien world. I’m ready! Like Ruth, I’m a Copley fan since District 9. Sorry to hear he’s been bound and stifled from a good character. Great review, Mark. Thanks! Yeah, you can colour me a Copley fan too, Cindy. Unfortunately, he’s not utilised to his full potential here. He has little to do but the film still manages. Liking the few tweaks you’ve been making to the blog mate, looks good. I heard about this film a while ago but haven’t come across it at all. I’ll try and track it down though, looks like something I’d really like. Cheers Chris! Yeah, a few tweaks here and there. It can get a little boring looking at the same structure all the time. Ideally I’d like to change my theme but I’m used to this one now, so I thought I’d just add some things. You should check this flick out. It’s actually quite good. As you know I wasn’t overly keen on Gravity’s story but the story to this is pretty solid. I love this flick and the big reveal didn’t bother me nearly as much. Love Sharlto Copley! Great job Mark!! Cheers Joseph! Good little film for sure. Unfortunately, the reveal didn’t sit too well with me but it was very well delivered up until then. Can’t go wrong with Copley either but I wish he was used more. Nice review. Still need to see this one, but I’ve been recommended it quite a few times. Also, I like the new star system. Thanks man! I liked this little film quite a bit. It had faults but it was still well handled and clung onto a great premise. Great review! I always hate it when the reveal is something that kills everything the film up until that point had been successfully building. I still want to check this out. Cheers Zoe. It’s well worth a look. The reveal didn’t work for me but you may notice in the comments from others that it didn’t bother them too much. I know it bothered Eric as well. Hmmmmmmm… hope to see it soon then find out how I feel about it! I loved this movie, great science fiction. Did not have an issue with the reveal myself. It was good Nostra. I enjoyed it myself. I couldn’t really get past the revelation but I understand that it may not be an issue for everyone. Solid Sci-Fi, though. Definitely go along with all that Mark. A four-star film with a debatable conclusion that lowers it’s score. Awesome stuff mate. Cheers Mark! It’s always nice to hear that you’ve hit the right note with someone else. It was a four star film right up until it’s unravelling. It was a major unravelling but it didn’t sit too well. 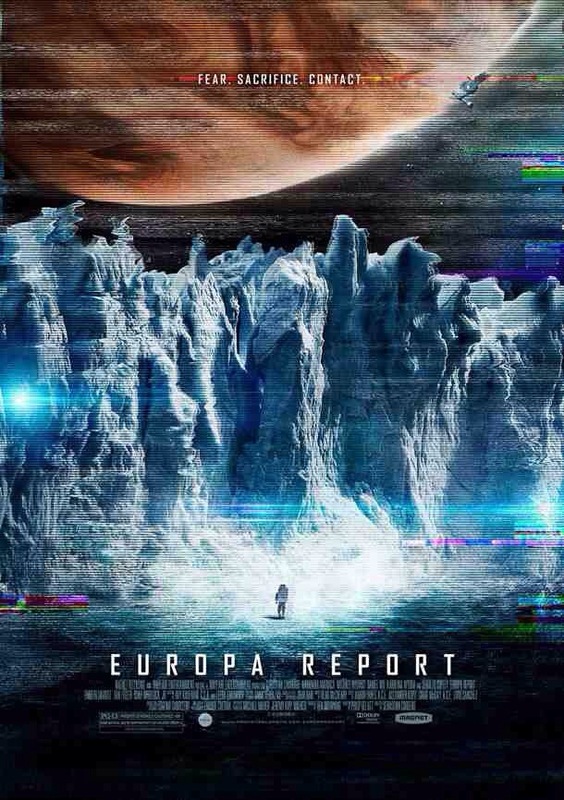 ‘Europa Report’ sounds far more intriguing than ‘Gravity’. And I am good with realistic techy Sci~Fi. As long as the ‘McGuffin’ isn’t a giant mouse trap. Which was used once on a very short ‘blackout’ comedy themed vignette from the 1970s ‘Night Gallery’ series hosted by Rod Serling! 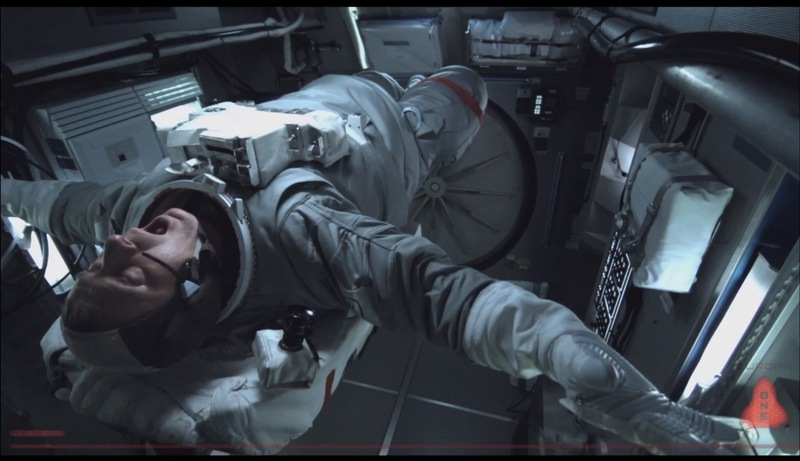 I found Europa Report stronger than Gravity in terms of storytelling but it’s doesn’t dazzle the way that Gravity did. As for the “McGuffin”, that was a big letdown for me, but I’ll let you judge that for yourself. Definitely worth a look, though. I enjoy a good sci- fi film as my recdnt blog post would show, and though iv’e never heard of this, till now, thank you for the review, as it makes me want to view it. I enjoyed Sunshine so I’m hoping this will add up to that enjoyment too. Like your other film reviews too.